Competition is good. It stops us from putting things on cruise and just coast along doing the same thing day in and day out. It drives us to improve. To innovate. To go higher, faster, stronger, better. But equally important are the relationships with those in our circles. Over the last few years of networking, I’ve had the privilege of meeting so many great people doing interesting things. In all that time, not once have I met someone developing the same product or service as I, and any semblance of similarity is so vastly different that we aren’t even close to competing for the same customers. Now that doesn’t mean that there isn’t competition in another city or country trying to do something I am, far from it. I know there is. But what I’ve found is that there are so many people within my ever-growing circle developing great new products, services, software, amongst many other things, that either my own company or someone I know of could benefit from. 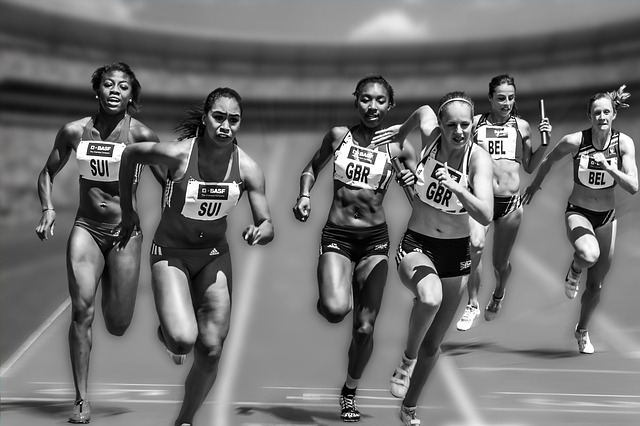 So while we are all racing down the track, who are we racing against? And if not against each other, should we be thinking of this entrepreneur thing really as a team sport? Slowly “startup ecosystems” are being developed in cities across the globe. Ecosystems that bring together various levels of government, technology, investors and mentors with the brave souls striking off on their own. They bring expertise and funding into a centralized location to make the incubation and acceleration of a new business easier. An ecosystem and these building blocks are needed, but the experts/mentors only have so much time to spread around. The governments only have so much grant money to give out. And investors can only back and find so many businesses that will provide them a worthwhile risk-reward return. This is where a community shows its worth. It’s creating a “Team Ottawa”, “Team Toronto” or Team Calgary” where collectively we support and help out each other in the effort to grow. As entrepreneurs, we all need help. Help to get a product or service developed. Help to find people willing to try our wares and give us feedback to improve. Help building a base of both paying and bartered business. Help getting testimonials and people to become our cheer squad. By building relationships with those around you, perhaps you’ll find a partner who can help accelerate your timelines of getting your product to market. Or treat someone to a coffee and shed light on the experiences you’ve had that could ease their journey. Maybe even find a customer for your service for whom you can eliminate the costly effort to build something on their own. 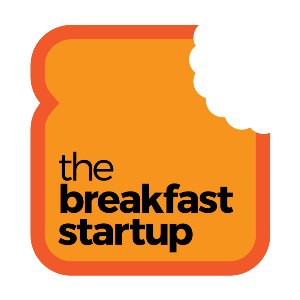 With The Breakfast Startup, our goal is to link people together, to showcase interesting businesses and talk about the lessons learned so that others can avoid the pitfalls we’ve encountered. To help new businesses find those customers and give the opportunity for those wanting to give back to find those wanting help. I heard a great saying a while back – The best type of funding is a paying customer – and with so many striving to succeed, that customer or partner or friend may be closer than you think. So here’s to growing as a community and becoming each other’s customers.